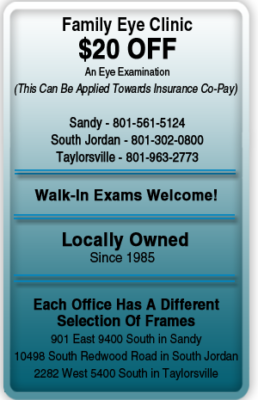 We are an experienced eye service center with offices in Sandy, South Jordan and Taylorsville Utah. 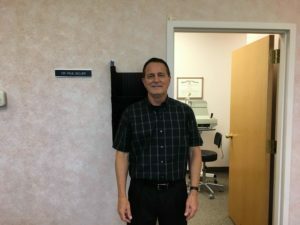 Dr. Paul Geller opened his first office in Sandy in 1985 and always accepts new patients. 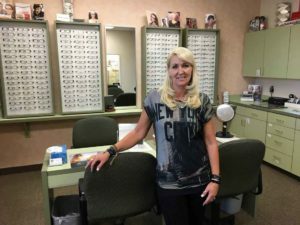 We are dedicated to providing vision care services throughout the Salt Lake County area. When you come into our office, you will meet one of our friendly office managers: Debbie Platt, Shellie Palfreyman and Gail Henderson. They can help you with all of your questions and concerns. 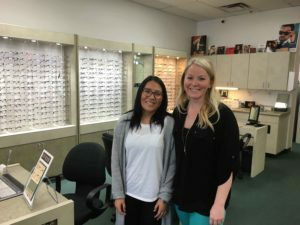 We carry a large selection of frames in our three Wasatch Front locations. We’re sure you will find something you love. 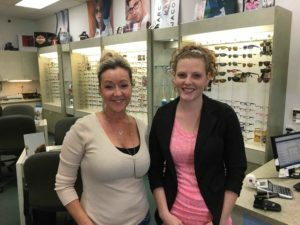 Our opticians will help you in selecting a frame that fits well and complements your character and style. Schedule your appointment today.